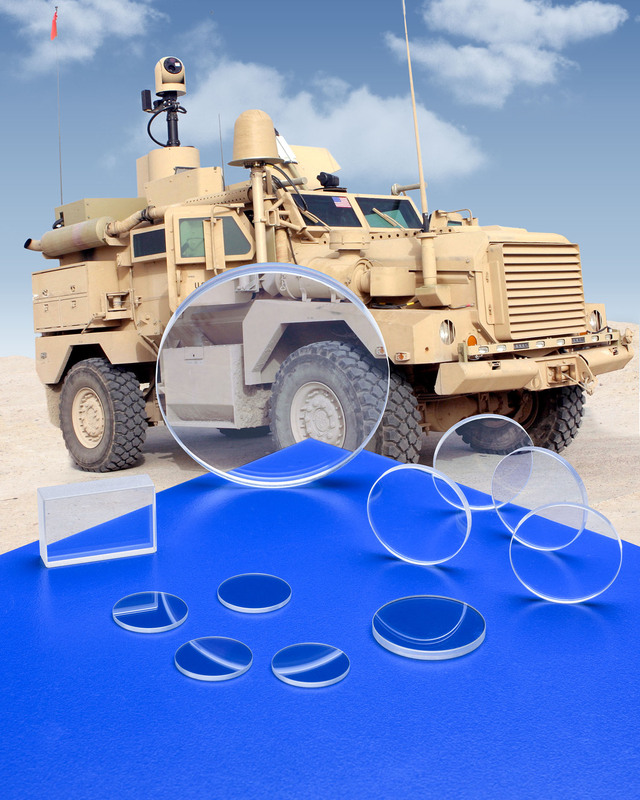 Custom fabricated zinc sulfide (ZnS) optics that are water-clear with minimum scatter and provide high transmission capabilities across a broad wavelength spectrum for a variety of military applications are being introduced by Laser Research Optics of Providence, Rhode Island. Laser Research ZnS Optics are ideal for single aperture, high performance multi-spectral systems that must perform over a broad wavelength spectrum from 0.4 to 12 microns. Ideally suited for military and homeland security thermal imaging systems, they can be supplied as lenses and windows in plano-convex, -concave, meniscus, and flat configurations. Manufactured using Hot Isostatic Pressing (HIP) which provides enhanced clarity, hardness, and scratch resistance, Laser Research ZnS Optics are offered in sizes from 0.5” to 3” O.D. or diagonal with typical tolerances of ±0.001” to ±0.005” and thickness to ±0.002”. Featuring λ/4 and λ/10 surfaces and finishes to 10-5 scratch-dig, they conform to MIL-PRF-13830. Laser Research ZnS Optics are priced according to material, configuration, and quantity.